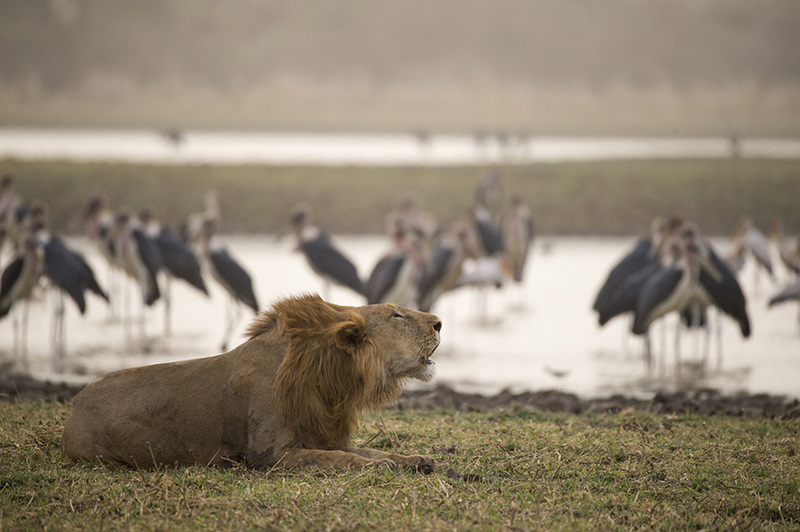 Most of Africa’s iconic safari destinations host thousands of travellers from around the planet each year. 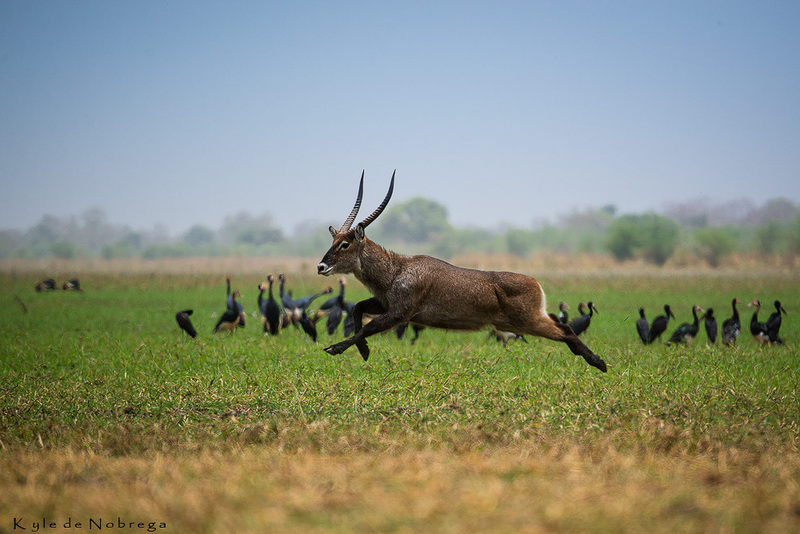 It is thus quite remarkable that Zakouma National Park in the country of Chad has remained off the radar for so long, yet it produces spectacular photographic opportunities in pure wilderness. The park is open for only 11 weeks of the year and at 8 persons per group, there are less than 100 tourists that who visit this camp and the park each year. The contrast of adventushere and the remoteness make it one of the most exciting destinations in Africa today. 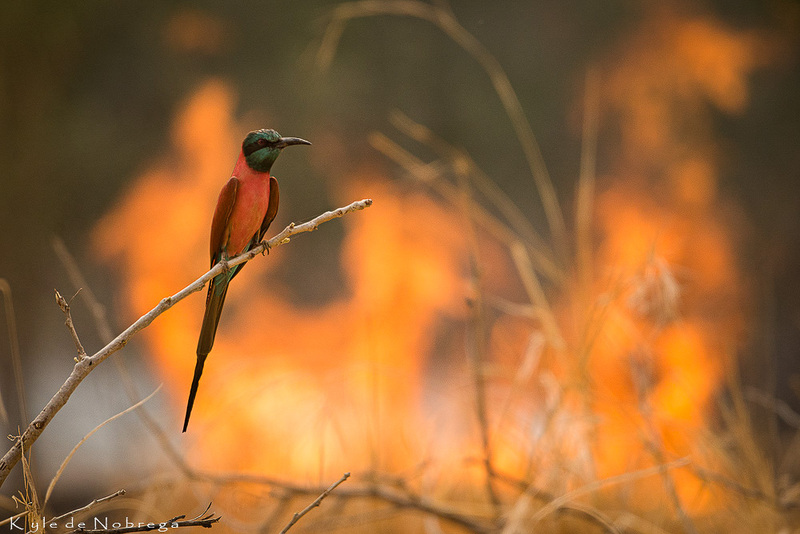 Tourism is virtually brand new to the region and thus you have freedom to explore and experience the reserve and its wildlife in a unique way, a far cry from the set and scheduled operations of other safari experiences in Africa. 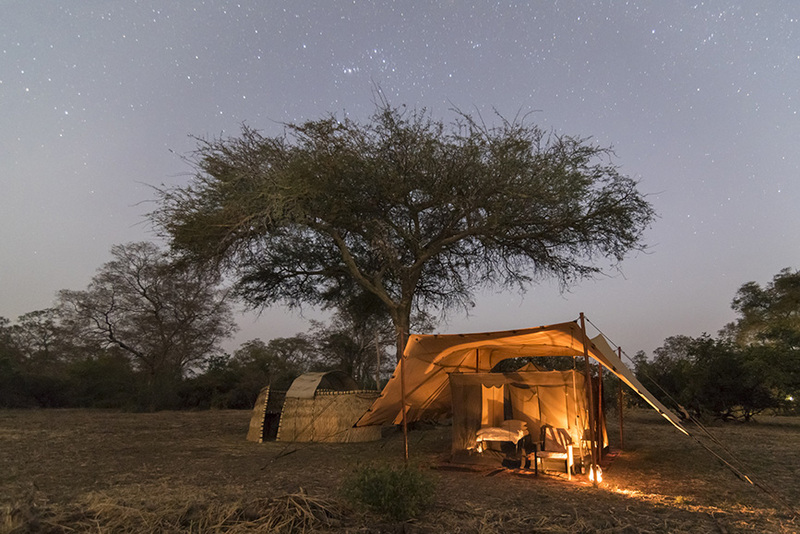 This is a safari destination that no one is talking about because no one has been there. It is in the heart of a 350 000ha unfenced wilderness where lions roam as they have for time immemorial. 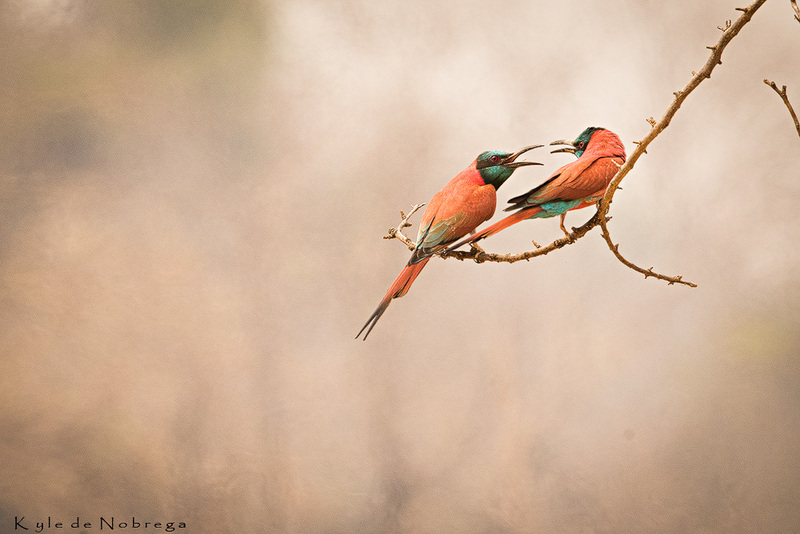 This is a wild Africa that excites, entices and is very full of life. 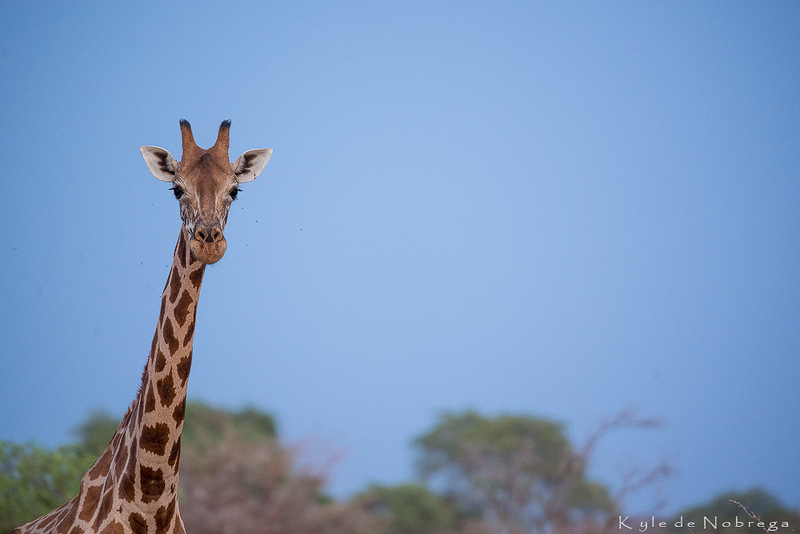 Have look at the video that Kyle made, which gives you a beautiful glimpse into what you can experience when visiting Zakouma. What makes Zakouma incredibly special is the attraction to water in the dry season. 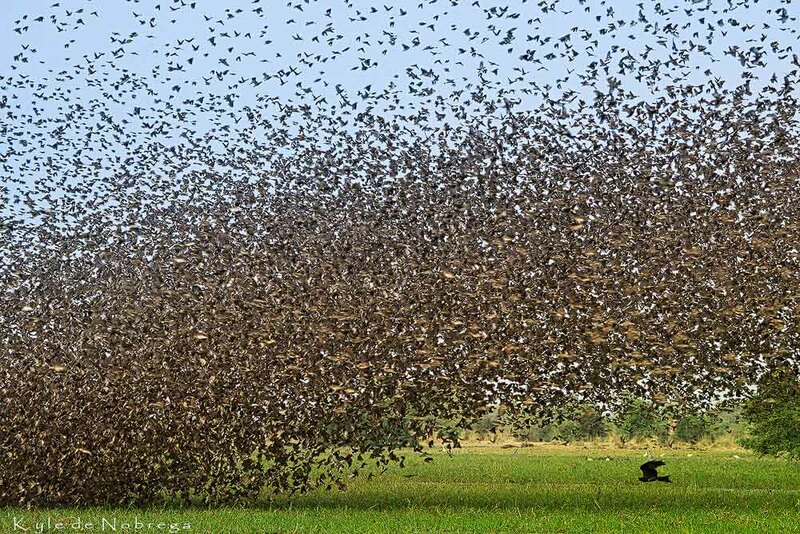 Once the water dries up, the animals and bird life are attracted in numbers unparalleled, to the pockets of drying pools in the rivers and marshes. 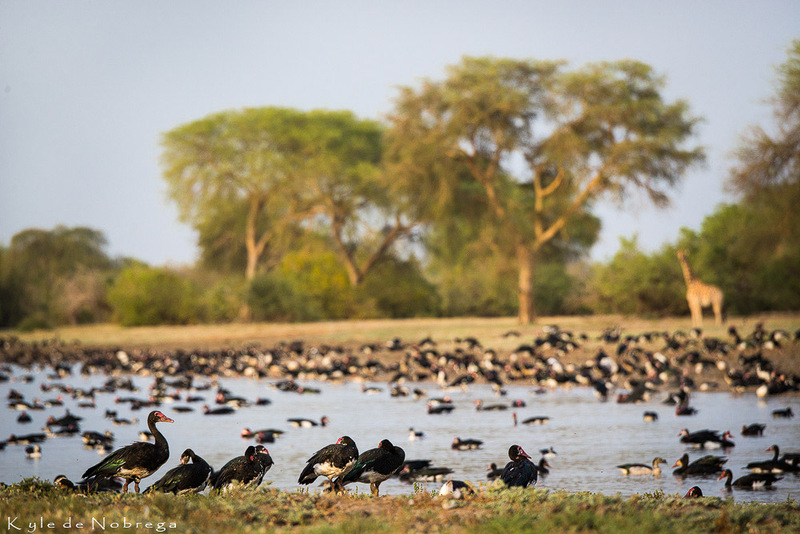 Thousands of waterfowl gather in the floodplains, with herds of Tiang, Lelwels Hartebeest, Defassa Waterbuck, Olive Baboon, buffalo and Kordofan Giraffe coming to the water almost all the time. 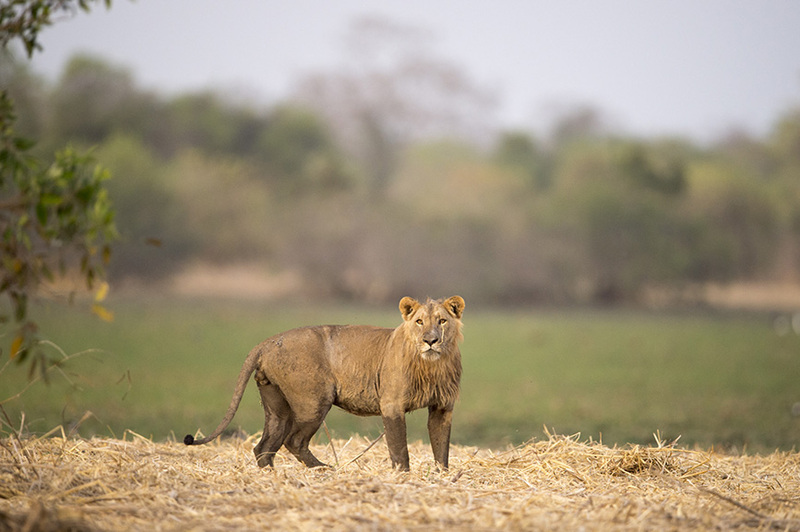 Lion are very common and hunt the buffalo and other antelope as they come to the pools of water. Incredibly common are the relaxed groups of Olive baboon always gibing your camera something to point at. 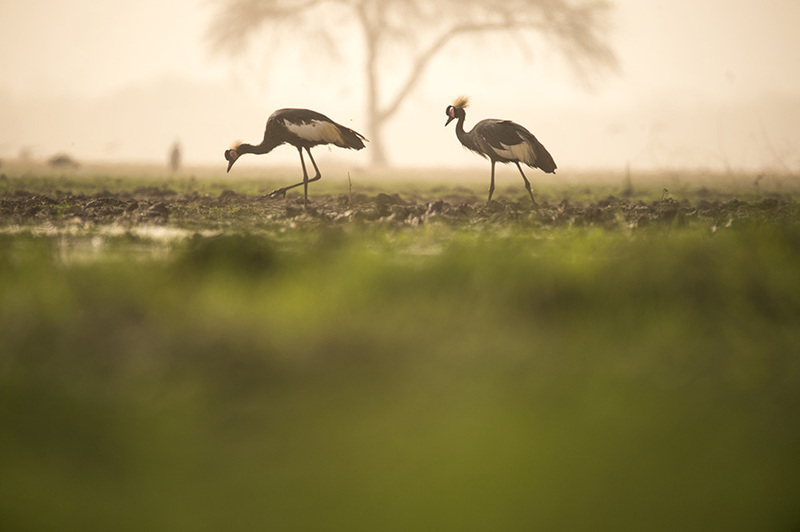 The sounds of thousands of Northern Crowned Cranes honking from every angle becomes the norm and the sight of both species of Pelican fishing in droves are commonly seen from the comfort of your armchair. 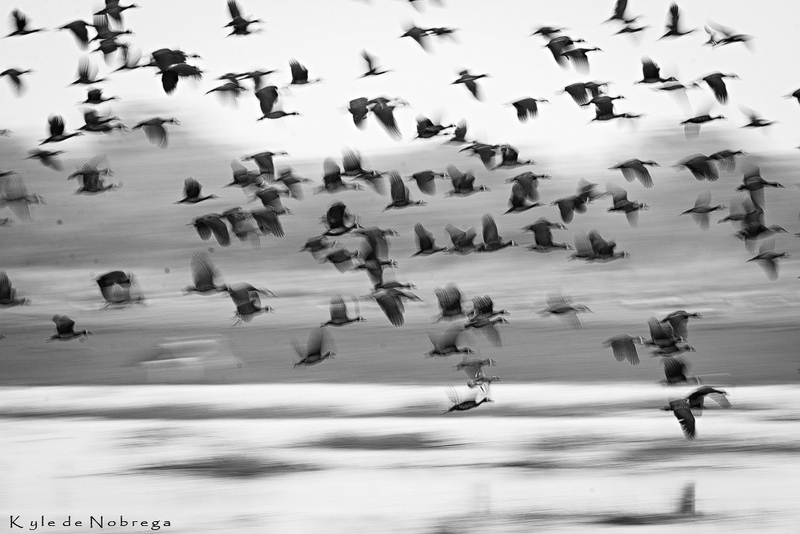 Spur winged geese and the unmistakable White-faced Ducks congregate in impressive numbers. 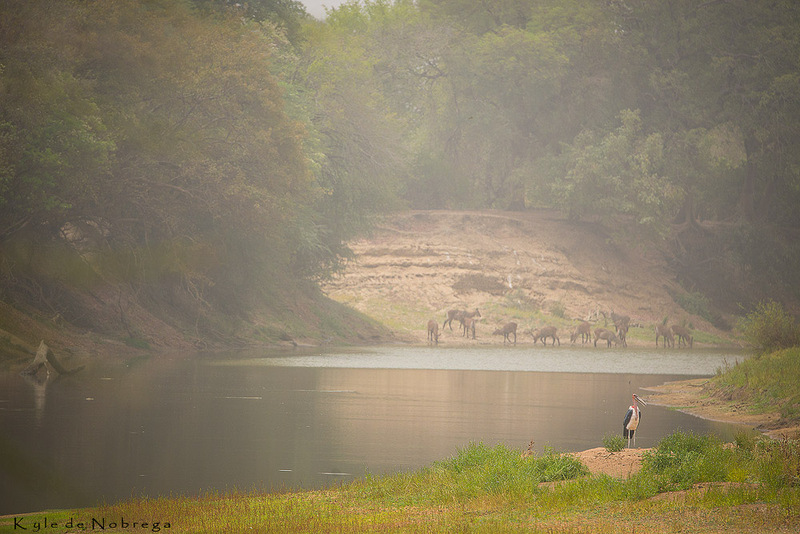 If one is lucky, the large herds of elephant come to drink along the banks of the waterways. 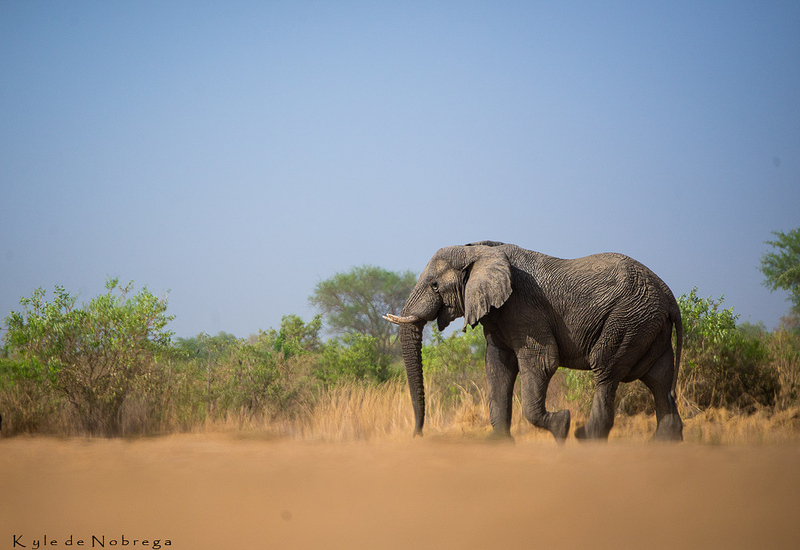 It is more likely though, to spend some time with the small groups of bull elephants along the pans. 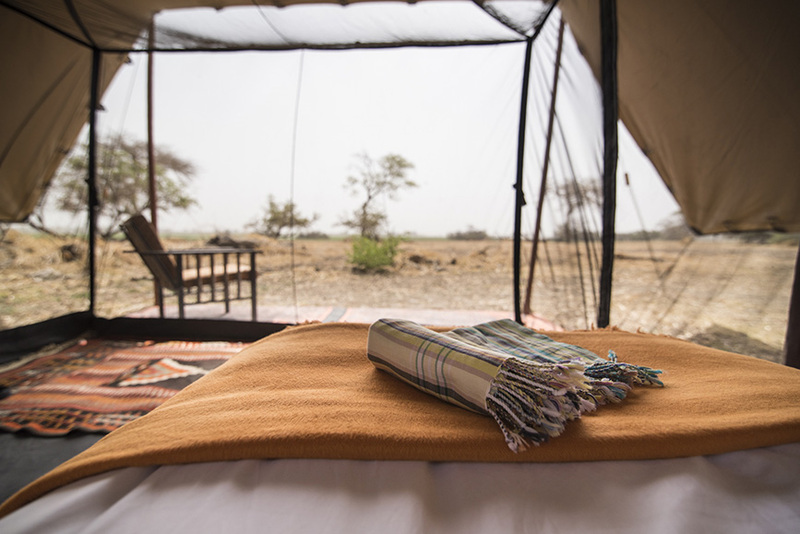 Zakouma offers so much more than a normal safari. The opportunity to photograph wildlife on foot is quite unique. 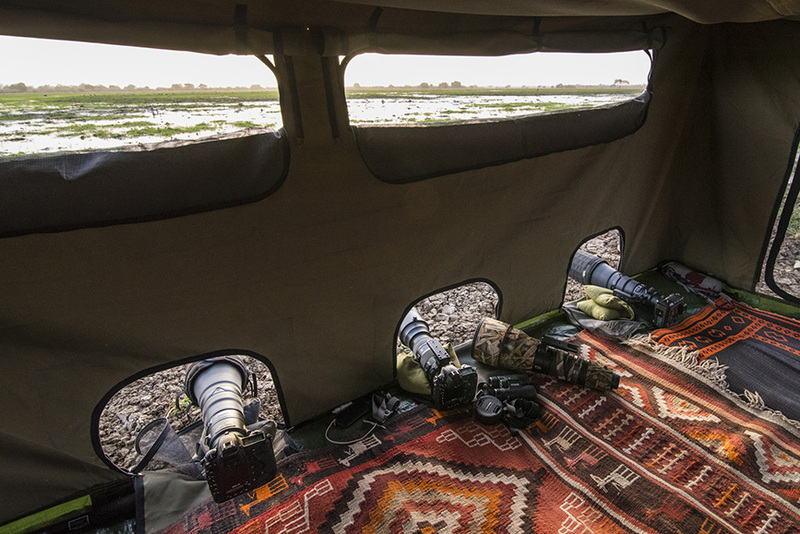 With this flexibility and freedom, spending time on the floodplains with waterfowl and antelope offers incredible opportunities to work with a particular subject. 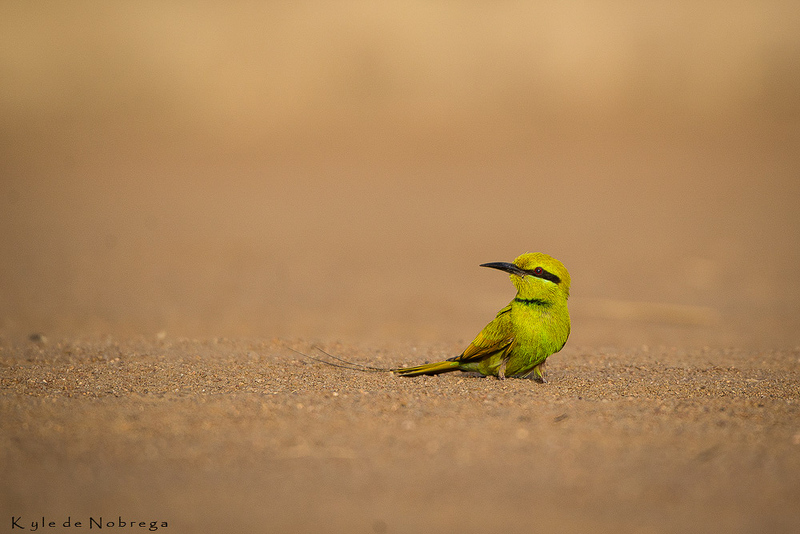 On the whole the wildlife and birds are fairly relaxed and can be approached on foot with relative ease. 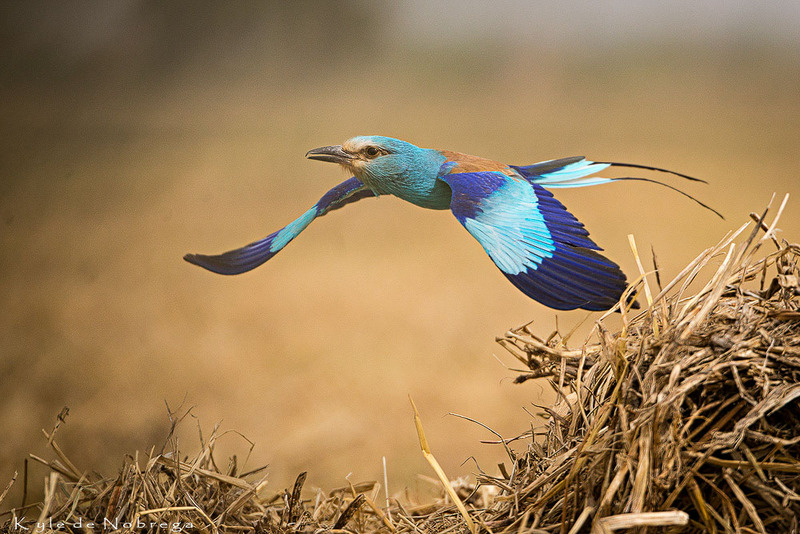 Flight trips can be arranged to get an appreciation and understanding of the ebb and flow of Zakouma and puts the perspective of wildlife attractions into view. This is the best way to view the elephants that roam together in tight knit groups of over 400. 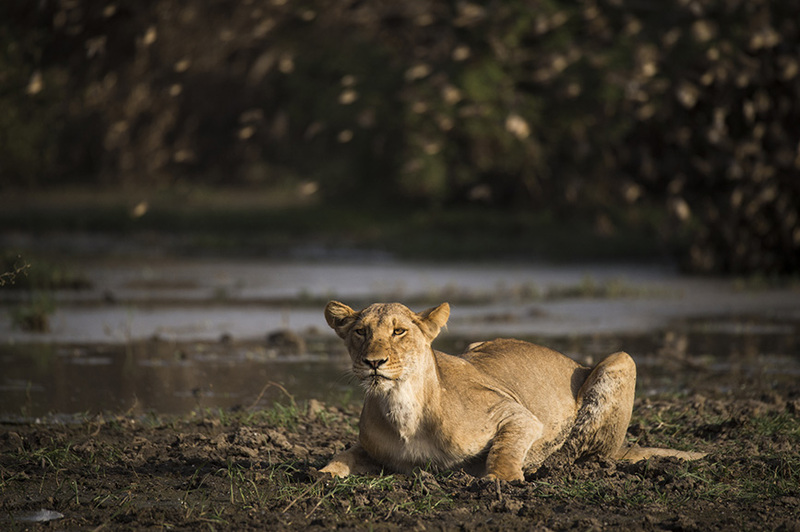 Viewing lions on their kills from air in the green floodplains is common, and seeing over a thousand Buffalo moving in formation through the Sayel woodlands is quite phenomenal. Lastly, one of Zakouma’s greatest attractions are its queleas. 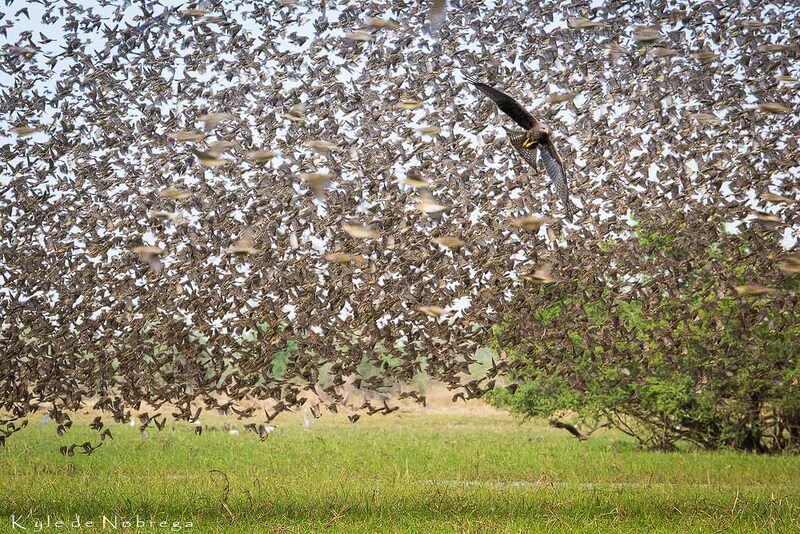 Watching queleas flocking down from their roosts to drink in their millions is something that you can’t see such a scale or spectrum anywhere else in the world. The formations of the birds moving in waves avoiding hundreds of pre-dating Kites creates scenes that are fantastical, action filled and simply out of this world. 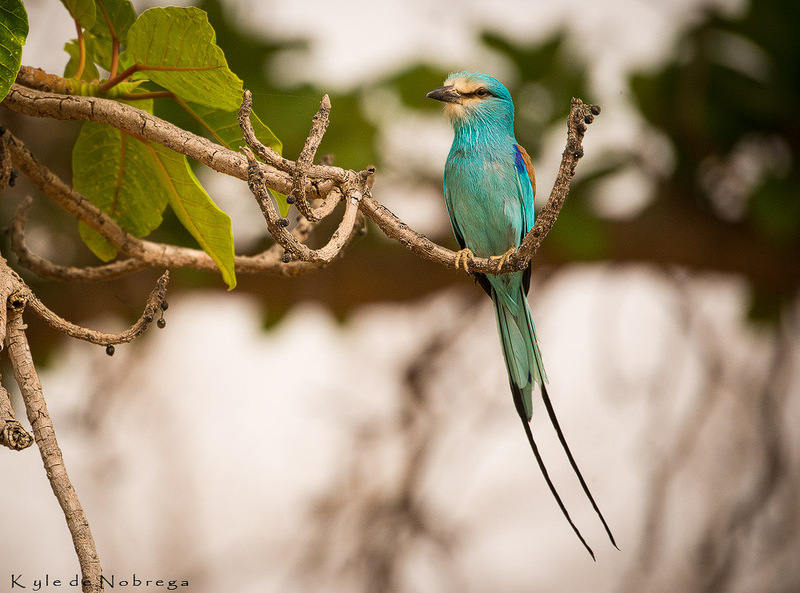 Zakouma serves as sanctuary for West & Central African biodiversity, due to its year-round availability of water. Some 66 mammal species are found in the park, of which 16 are large mammals. 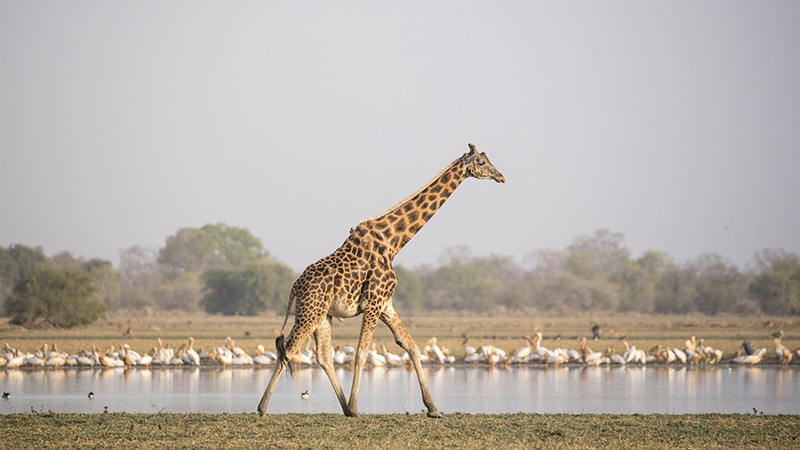 Notable species include the Kordofan giraffe, with 50 per cent of the African population residing within the park. 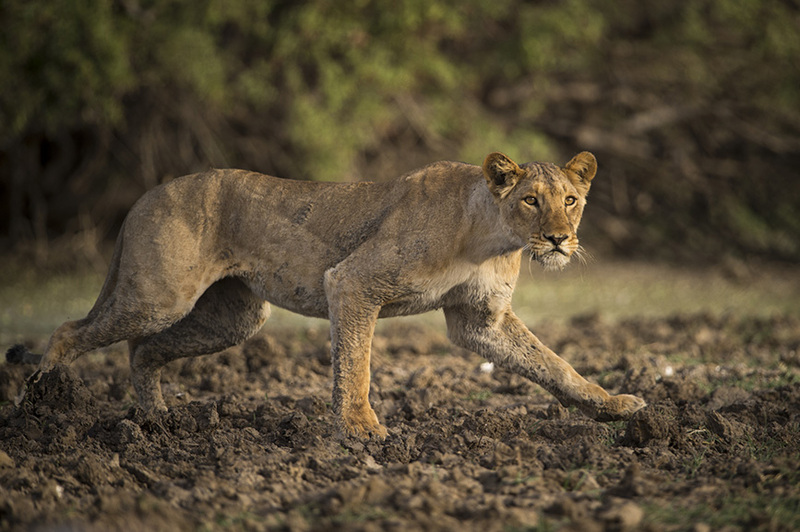 Larger predator species include lion, leopard, cheetah, spotted hyena, striped hyena & wild dog, while smaller species include civet, serval, caracal, jackal, honey badger, African wildcat & the pale fox. 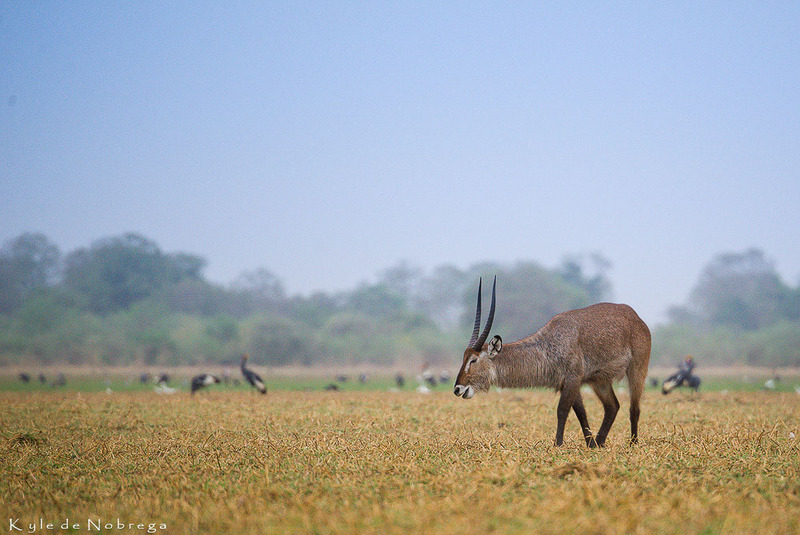 Some of the most notable herbivores include elephant, Kordofan giraffe, Central African Savannah buffalo, Western greater kudu, red-fronted gazelle, Lelwel’s hartebeest, tiang, Western roan antelope, Defassa waterbuck, Buffon’s kob, warthog, red-flanked & Grimm’s duiker, oribi, Nigerian Bohor reedbuck and Harnessed Bushbuck Three species of primate are found in the park: the olive baboon, patas monkey & tantalus monkey. 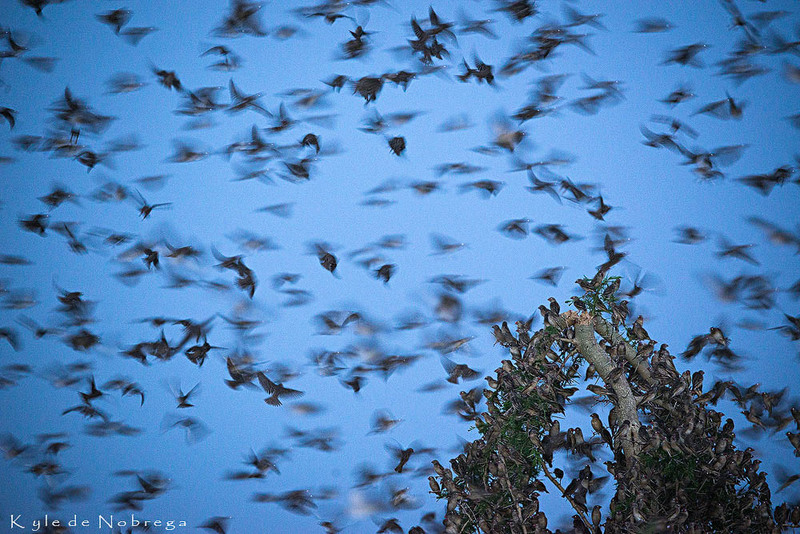 A total of 388 bird species reside within the park boundaries. 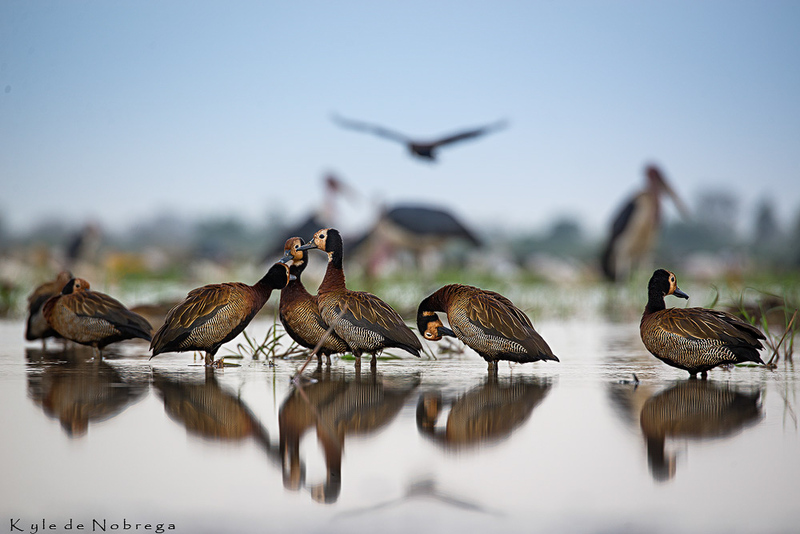 Zakouma’s floodplains, rivers, marshes & pans are a valuable stop-over and breeding ground for birds, & the south-eastern wetlands form part of the RAMSAR site “Inundation Plains of Bahr Auok & Salamat” – one of the largest in the world. 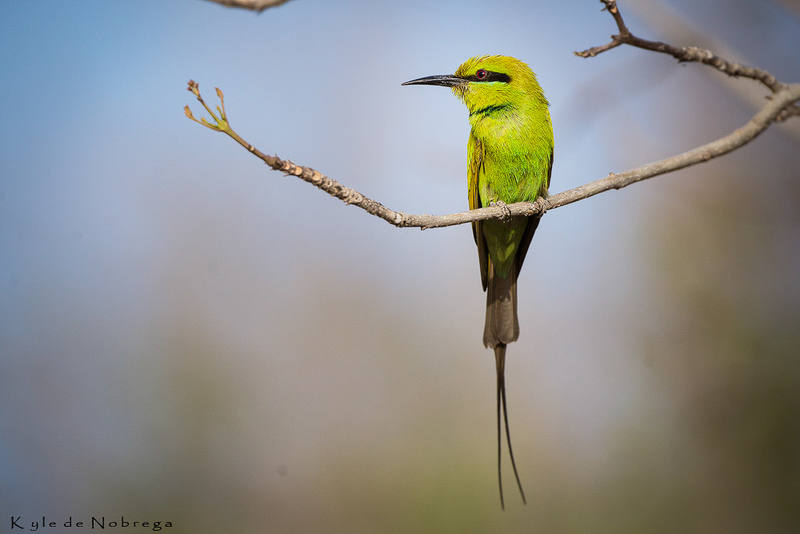 Some 40 raptor species are found in the park, along with abundant populations of northern carmine bee-eaters & red-billed queleas. Zakouma is also home to the Abyssinian ground hornbill. Meet and pick-up at N’Djamena International Airport in Chad for an overnight stay at the Hilton Hotel. 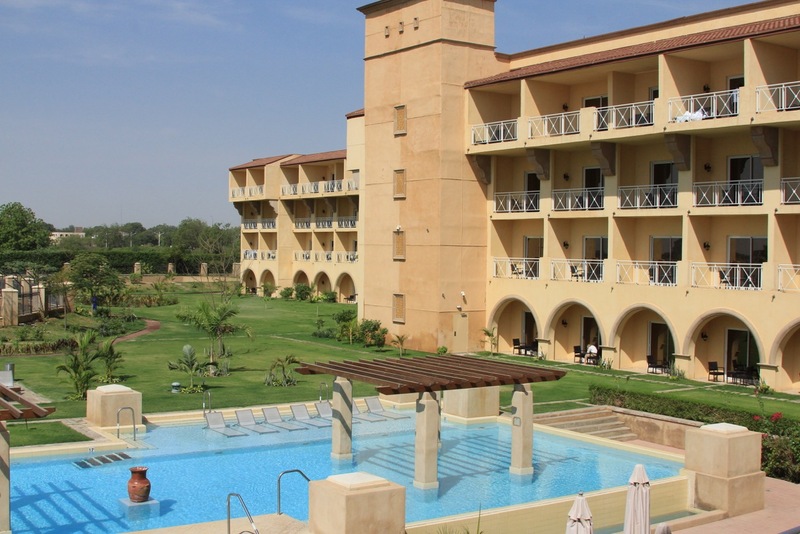 A tranquil hotel in the heart of Chad, located in a scenic and peaceful area along the banks of the Chari River. The hotel boasts a secure gated entrance, a dedicated airport shuttle and offers unique views of the local flora and fauna. Business travellers can unwind after a busy day in the relaxing atmosphere of the hotel with a range of recreational amenities. Bask in the warm sun alongside the sparkling outdoor pool or spend the afternoon at the hotel spa. 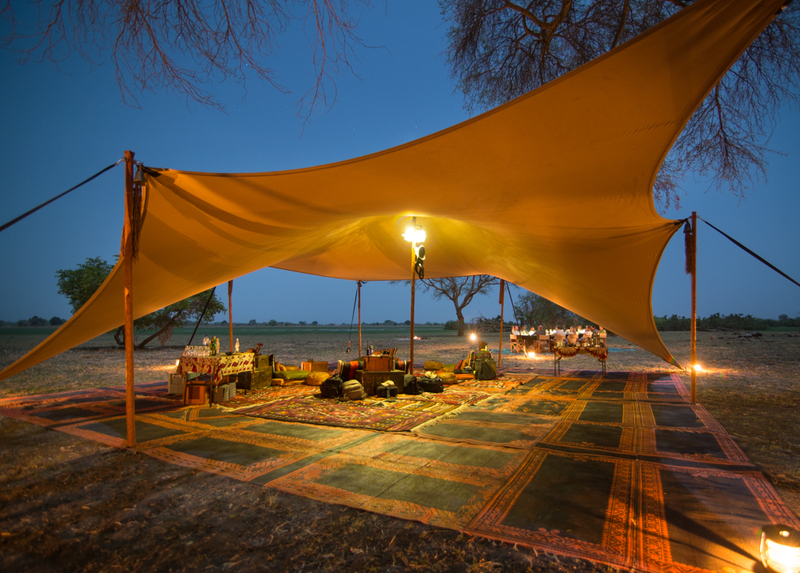 You will be transferred to the N’Djamena International Airport for your charter flight to the Camp Nomade in Zakouma. 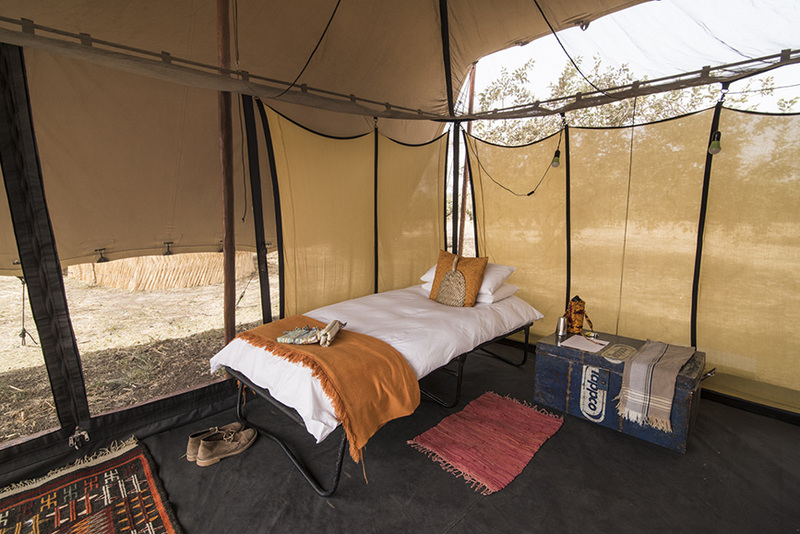 Camp Nomade offers simplicity, yet excellent quality of both accommodation and cuisine. 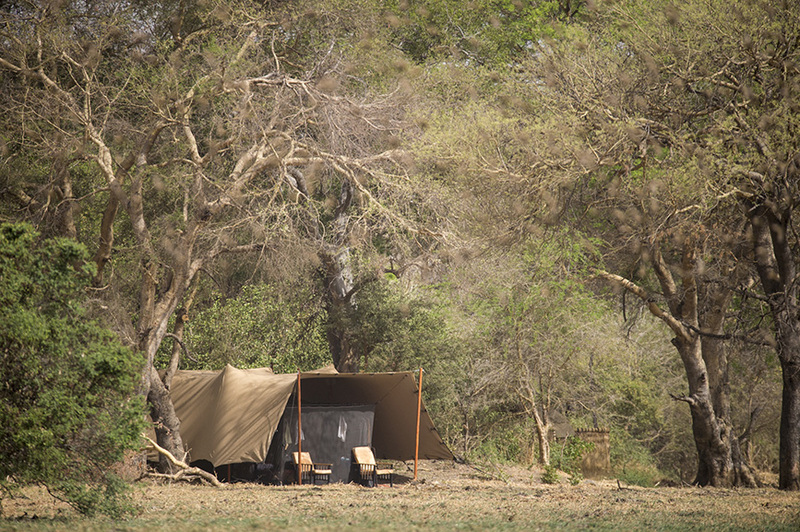 The comfortable and secluded tents give you comfort and ease to relax and enjoy the wildlife unfolding in front of you. Ablutions are en suite affairs with excellent bucket showers and freshly dug and daily serviced long drop toilets. 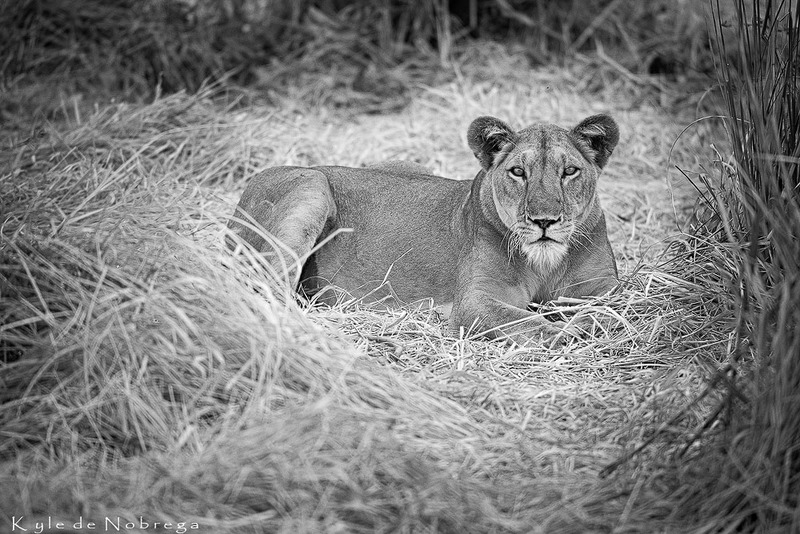 The camp is based on the edge of one of the pans and moves according to where the most wildlife activity is occurring. This ensures you are always in the heart of the wildlife activity. 19h00 Dinner under the stars and then retire to bed for another day of more great photography! Please note the times mentioned above are estimates and can change. Excellent, open sightings and photography. 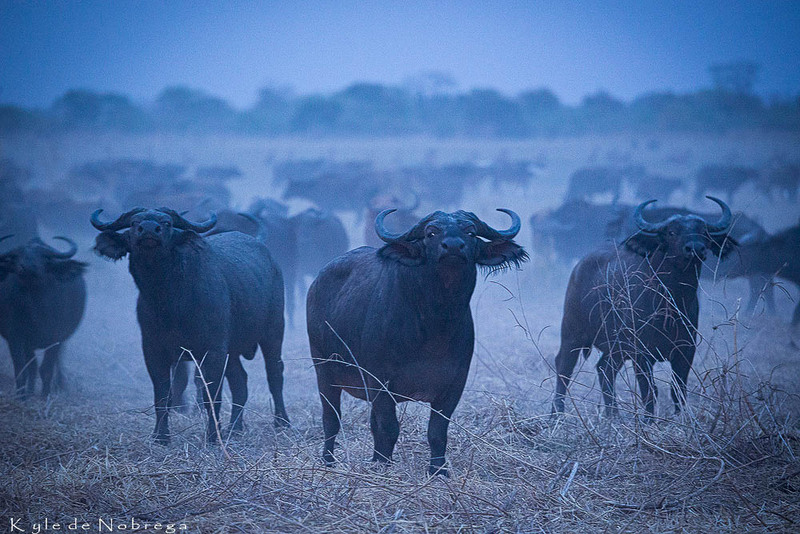 Large herds of Buffalo at sunset/dusk create atmospheric scenes with dust. 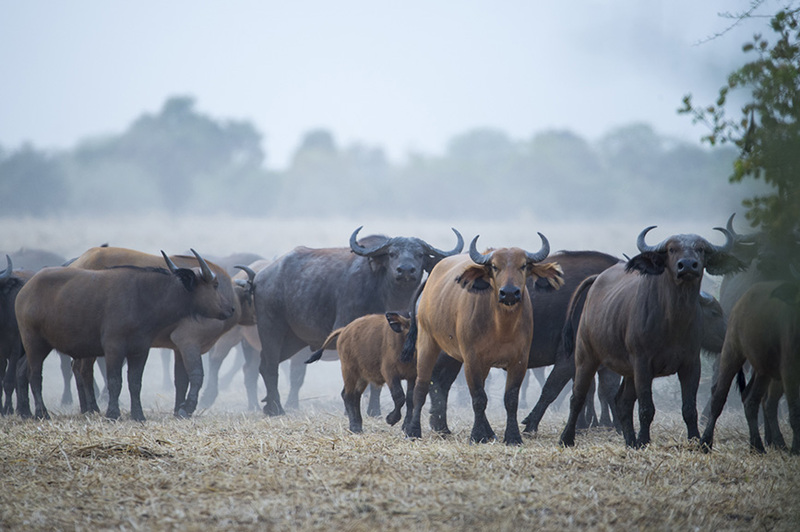 Elephants can be photographed by air, however there are a number of bulls that hang around in the region near the Head quarters and airstrip wandering to the nearer floodplains and pans. 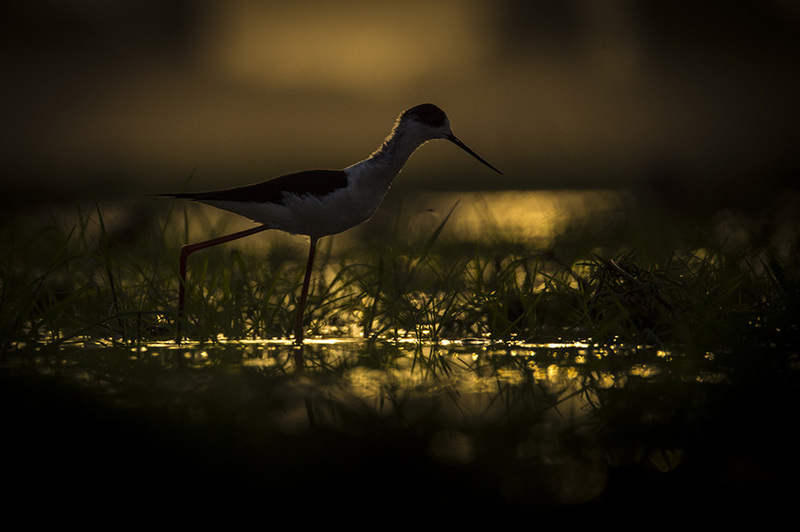 Queleas are very likely to be seen early in the morning coming down to the floodplain before sunrise for the first drink of the day. 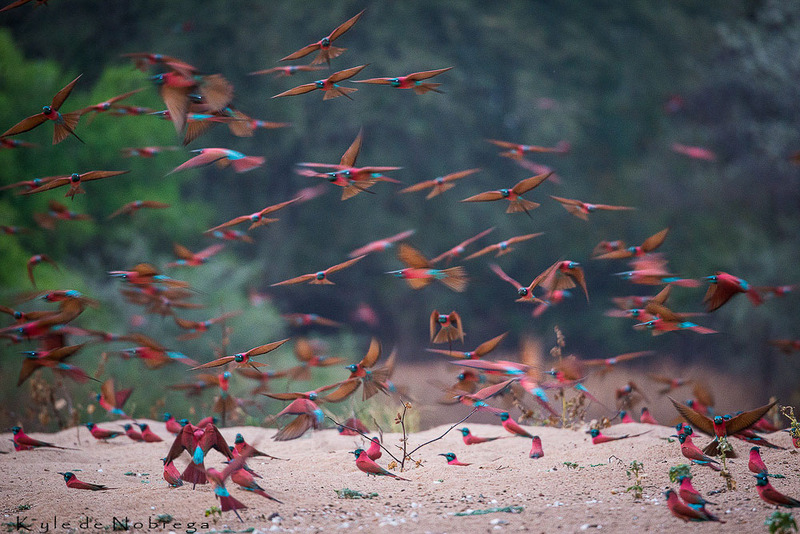 Large colonies of bee-eater and other birds. Flights over the reserve. This is an option and cannot be sold prior to arrival as the planes may be required for conservation work, which makes them unavailable. Flying will cost in the region of $350pp a flight (an estimate) and it will be on a donation basis. 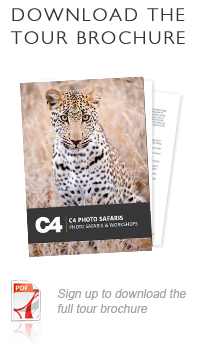 Virtually everywhere you look there is a wild animal of some description and many of the animals are in numbers not seen elsewhere and are new species or different subspecies to what one will see in southern or east Africa. 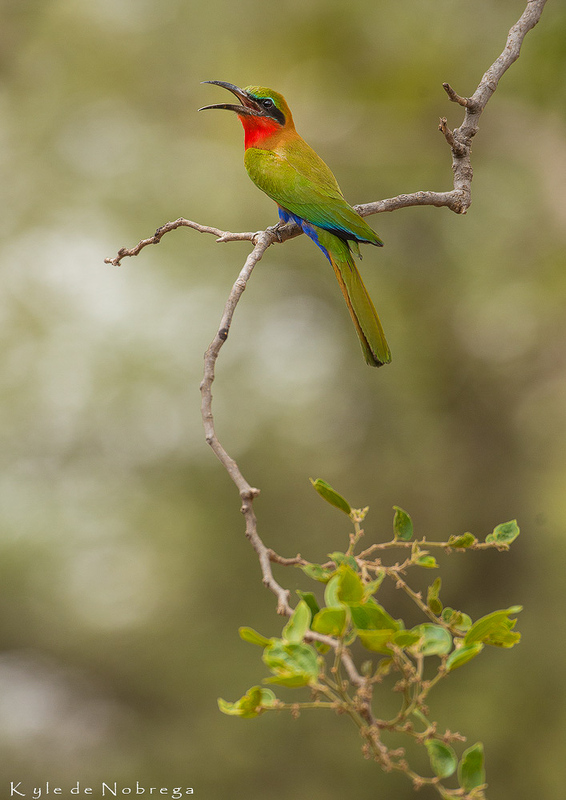 After an early morning game viewing you will enjoy brunch. You will then be transferred for your flight transfer back to N’Djamena International Airport in time for your international flight home. This is the end of the safari. 30% deposit confirms your booking, balance payable 8 weeks prior to start date. Maximum 8 pax and a minimum of 5 pax. Pickup and transport for the entire Safari and drop off at the N’Djamena International Airport. Non-alcoholic and alcoholic drinks (except premium brands). Extra activities such as the flight over the flood plain are not included. Flight transfer back to N’Djamena International Airport in time for your international flight home. This is the end of the safari.